Hall, Anthony J.. "Aboriginal Title and the War of 1812". The Canadian Encyclopedia, 21 July 2016, Historica Canada. 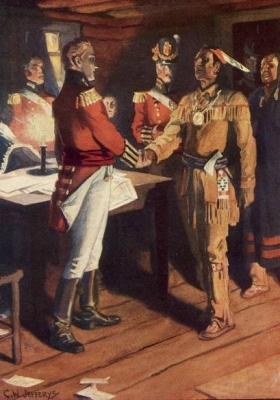 https://www.thecanadianencyclopedia.ca/en/article/aboriginal-title-and-the-war-of-1812. Accessed 21 April 2019. In the first decade of the 19th century, relations between Great Britain and the United States deteriorated, primarily due to the widening influence of the Napoleonic Wars. 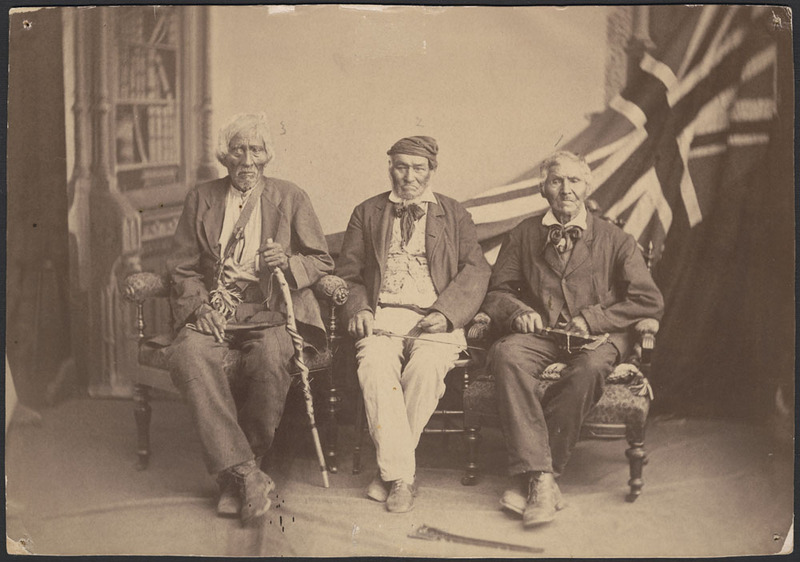 At the centre of this movement, two Shawnee brothers implored Aboriginal peoples to unite in order to defend their dwindling lands against the growing incursions of Anglo-American settlers and the United States government. The promise of an Aboriginal state never came to fruition. After the War of 1812, the United States and Britain found it more advantageous to ignore Aboriginal title. Tenskwatawa, a religious prophet, had captured the imaginations of a growing following in Aboriginal territory. As war became more likely, however, Tenskwatawa’s brother, Tecumseh, began to give the movement a more explicit political direction. Tecumseh travelled with growing urgency to address diverse Aboriginal audiences on the necessity of coordinated action. He was soon widely acknowledged as a brilliant orator and strategist capable of instilling a tremendous spirit of patriotic resistance among peoples of widespread and disparate identities. Indigenous nations to the west of American colonial settlements had finally found a leader capable of transcending many of the old jealousies that had often sabotaged the military and diplomatic effectiveness of the Aboriginal Confederacy. In Tecumseh’s view, Aboriginal peoples could no longer allow the American government to deal with them as many small individual tribes. He was critical particularly of those whom American officials bribed, or made drunk, and coerced to sign treaties that surrendered land to the United States government for an average of just two cents per acre. What Tecumseh proposed instead was a policy that would treat all the territory held by all the constituencies of the Aboriginal Confederacy as a unified whole. Hence the only body that would be authorized to make a treaty with any foreign power would be the central council representing the full Aboriginal Confederacy. Tecumseh aimed to elevate his people’s treaty-making authority from the level of domestic contract to full-fledged international relations. To achieve this degree of sovereignty, the Aboriginal confederacy needed a powerful ally who would support their international status militarily, diplomatically and economically. At the outset of the War of 1812, Tecumseh and his followers hoped that allying with Great Britain would help the Aboriginal Confederacy counter American threats to absorb Aboriginal territory through military conquest, removal and relocation or forced assimilation. These motives aligned with a geopolitical strategy that had been intermittently pursued by Great Britain since the American Revolution — the plan to create an Aboriginal “buffer state.” The imperial government had adopted the secret position that it would support the Aboriginal Confederacy to the point where it could assert international sovereignty over the lands between the Ohio River and the Great Lakes. When the War of 1812 began, the Aboriginal Confederacy took Detroit quickly and without casualties. Combined with the capture of Michilimacinack, this allowed British leaders the security to focus on larger battles on the Niagara frontier, like the Battle of Queenston Heights. These events vindicated the long tradition of Crown-Aboriginal alliances, from the Covenant Chain to the Royal Proclamation to the plan to establish an Aboriginal buffer state. This British policy was essential in the early defence of Canada in the War of 1812, a defence that probably would have failed without strategic Aboriginal involvement. Unfortunately, the outcome of the War of 1812 was not positive for Aboriginal peoples. 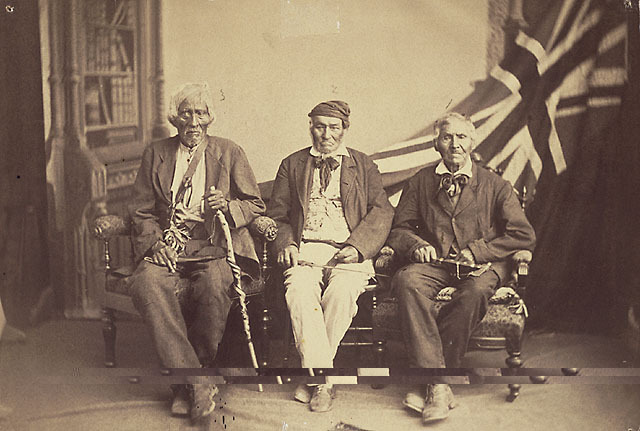 After Tecumseh was killed at the Battle of the Thames in 1813, the Aboriginal Confederacy largely disintegrated. Britain ultimately abandoned its support of a “buffer state” to protect title to lands threatened by American expansion. The Treaty of Ghent ended the War of 1812 and reinstated the status quo ante bellum (everything returned to its pre-war status.) It further declared that Aboriginal peoples were entitled to the land they had occupied before the war and were not to be targets of hostility, though neither colonial power found it advantageous to uphold these promises. In the years that followed, the Americans largely destroyed the Aboriginal territory east of the Mississippi River, transporting inhabitants to a designated territory in what is now Oklahoma. Rather than move west, however, many Aboriginal peoples from south of the Great Lakes migrated north across the established, though still rather porous, international border. Many of the descendants of these peoples, whose lands were so dubiously ceded by Britain to the United States, live on reserves and in communities throughout southern Ontario and along the north shore of the upper Great Lakes. The legacy of this pivotal chapter in Canadian and Aboriginal history lives on through them.